Richard B. Russell Library for Political Research and Studies: Campus and Community Partners to Host 3rd Annual School Lunch Challenge! 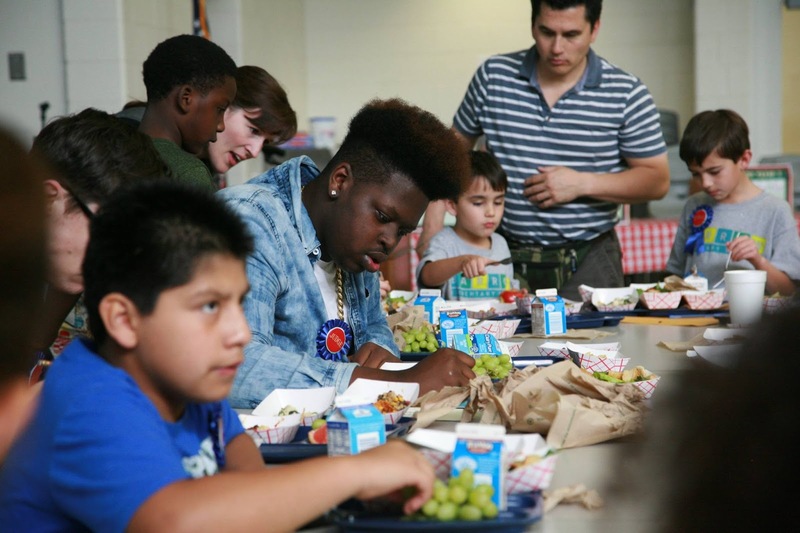 Campus and Community Partners to Host 3rd Annual School Lunch Challenge! 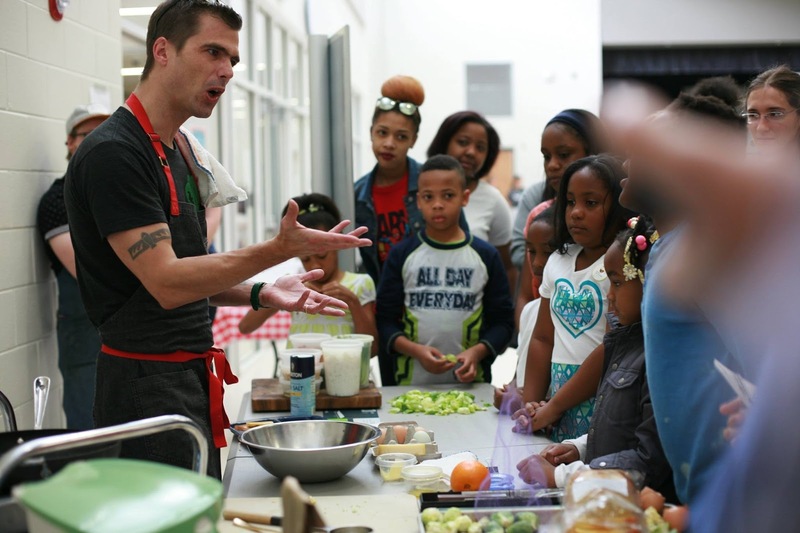 Local chefs will take on the School Lunch Challenge March 18, creating tasty dishes that meet USDA requirements for the National School Lunch Program. Attendees will have a chance to sample the creations at the cooking competition from 12-1:30 p.m. in the cafeteria of Whitehead Road Elementary School. Building on increased public interest in the National School Lunch Program, and inspired by the 2014 exhibition, Food, Power, Politics: The Story of School Lunch, the Richard B. Russell Library for Political Research and Studies and others partnered in 2015 to create a fun, educational event to engage the Athens community with the past, present, and future of school lunch. “Richard Russell co-sponsored the legislation which created the National School Lunch Program in 1946. We are glad to host this event, now an annual happening that draws attention to the NSLP today,” said organizer Jan Hebbard, outreach archivist at the Russell Library. The 2017 event will offer 200 free tickets to the general public, and offer hands-on activities and cooking demonstrations to attendees. Once again, the centerpiece of this event will be a cooking competition which invites participating teams, advised by nutritionists from the Clarke County School District (CCSD), to create dishes in accordance with USDA guidelines for the National School Lunch Program. A panel of student judges drawn from CCSD schools will vote to determine an overall winner. The winning team’s plate will be incorporated into the CCSD school lunch menu during the 2017-2018 school year. Last year a team made up of family and consumer science teachers from the Clarke County School District was voted the overall winner by student judges. Led by Almeta Tuloss, program director for Seed Life Skills, a non-profit committed to revamping Family and Consumer Science curriculum, the team won over judges with a chicken and spinach pasta with lemon cream sauce alongside a mixed salad with orange vinaigrette. This recipe is scheduled to debut on the CCSD School Lunch Menu in Spring 2017. The CCSD teachers will return to defend their title against new competitors Taqueria del Sol, Last Resort Grill, and The Place. The event is free and open to the public but only 200 tickets will be made available, beginning February 24 through the Eventbrite website. The 2017 School Lunch Challenge is sponsored by the Richard B. Russell Library for Political Research and Studies, the Clarke County School District, the Athens Land Trust, Athens Farm to School, UGA’s College of Family and Consumer Sciences and Department of Foods and Nutrition, The Fresh Market, Earthfare, Seed Life Skills, and Heirloom Cafe.